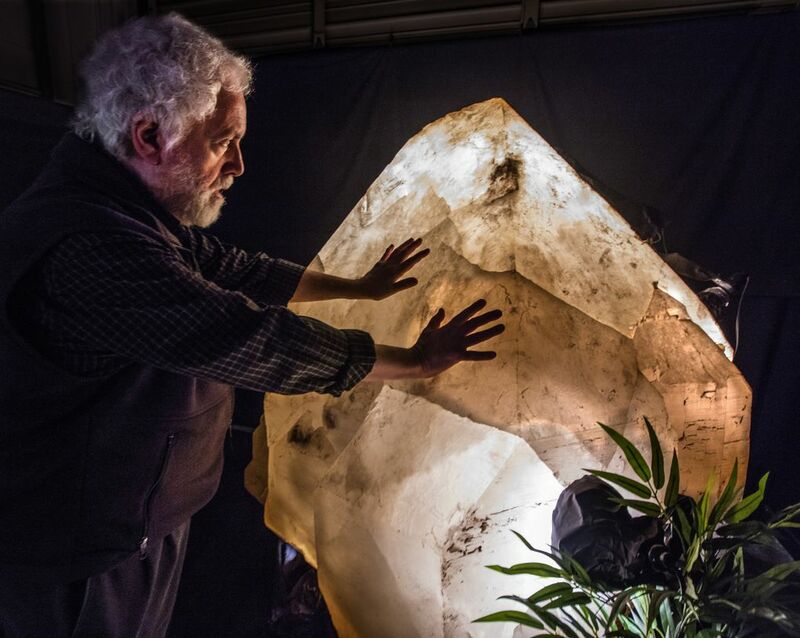 Richard Berger’s stunning collection of massive minerals now sits in a dark warehouse near Seattle. He’s looking for a millionaire to buy the “Masterpieces of the Earth” and build a museum to display them. Lots of kids collect minerals, but Richard Berger wasn’t one of them. There’s an amethyst geode the size of a Smart car and a fossil mollusk called an ammonite that measures nearly 4 feet across. A cluster of pyrite crystals tips the scale at 700 pounds and bounces light like a disco ball. A crystalline quartz giant weighs in at 3.5 tons and seems to glow from within. The collection, which Berger calls “The Masterpieces of the Earth,” includes more than 100 specimens, all selected for their exceptional size, beauty or quality. And it’s on the market. But Berger doesn’t want to just sell to the highest bidder. His dream is to find a way to keep the collection in the Northwest and build a museum to house it. The city is no stranger to billionaires bankrolling museums. Microsoft co-founder Paul Allen’s EMP Museum celebrates rock ‘n’ roll, while fellow Microsoft alum Charles Simonyi paid for a gallery devoted to space exploration at the Museum of Flight. But it’s not clear who might step up in support of minerals and fossils. “Selling mineral collections is not an easy business, and there are very few buyers,” said Elizabeth Nesbitt, curator of geology for the Burke Museum of Natural History and Culture at the University of Washington. “Some museums across the country are selling their own mineral collections,” she wrote in an email. 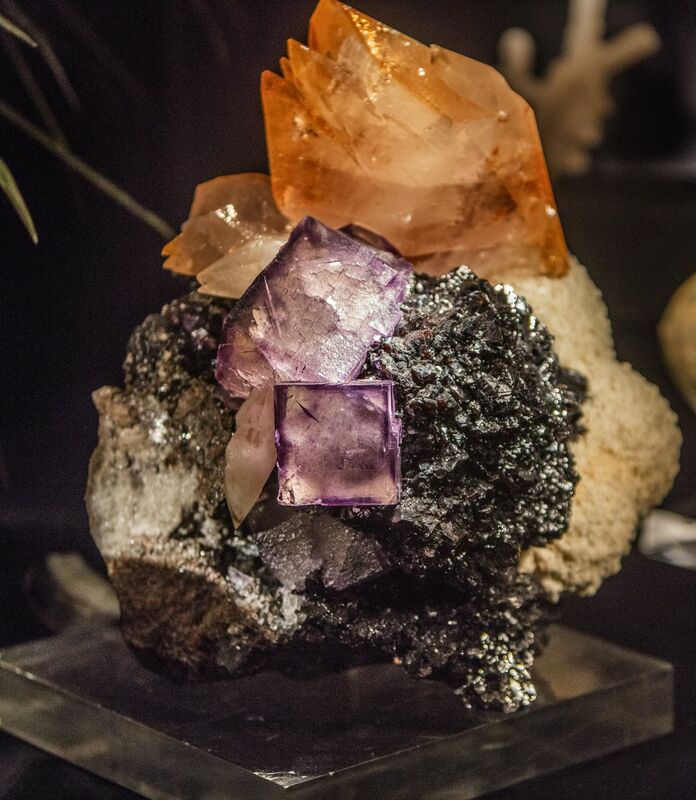 But others, like the Perot Museum of Nature and Science in Dallas and Yale’s Peabody Museum of Natural History, are expanding their mineralogy sections in a big way. “The appeal of minerals has gone from being something that’s very specialist to something that’s more mainstream,” said Peabody Director David Skelly, who recently bought two pieces from Berger to help anchor the museum’s new mineral hall, including a massive selenite rose, whose flat, brown crystals resemble the fins on a stegosaurus’s back. Berger won’t reveal the asking price for his collection, except to say that it’s in the millions of dollars. Very few museums can even afford to buy a single large specimen without donor support, Skelly pointed out. Yale’s expansion is being underwritten by a $4 million gift from a wealthy alumnus. The Burke doesn’t have that kind of money for collections either, and it is generally more focused on specimens with scientific, rather than aesthetic, value, said executive director Julie Stein. There are also ethical concerns about buying and selling fossils because it feeds the market that can place scientifically valuable specimens in private, rather than public, hands, she added. But the Burke, which is breaking ground soon on a larger building, would consider accepting Berger’s collection — if a donor picked up the tab, Stein said. For now, the glittering assemblage is mostly in the dark, stored in a 6,000-square-foot warehouse near Seattle that is not open to the public. Berger and his wife live in a 315-square-foot cottage to minimize expenses. “Every dime that I have, all of my assets since 1980, have gone into this collection,” he said. After his epiphany in Wyoming, Berger dropped out of medical school and began searching for evermore elaborate crystals and fossils. In the 1980s, he operated a successful gallery in Manhattan, selling fossils and minerals for a living — and to finance his quest for natural masterpieces. The couple moved to Seattle in 1988, transporting their collection in five tractor-trailers. They opened a gallery in the Alexis Hotel and ran it until 1995, when they began dealing with only select clients, including museums. For more information on the collection or to contact Richard Berger, visit his website. Most of the pieces in the collection were unearthed at industrial mining operations, Berger said. In the early days, he traveled the world, from Tennessee to the Peruvian Andes, to sort through the finds. But the specimens he wanted were exceedingly rare, and eventually people started contacting him when they stumbled across something unique. One such find came from Fontainebleau, France. People in the region had been mining ancient deposits of white sand since the Middle Ages. But in the late 1980s, the deposits began yielding fantastical, swirling formations that look like psychedelic ice cream cones. Called Fontainebleau concretions, the smooth, cream-colored formations were apparently created when ancient hot springs erupted through the sand, suspending the fine particles in a waterborne dance that was somehow preserved. Berger was so enchanted, he bought every specimen he could find. 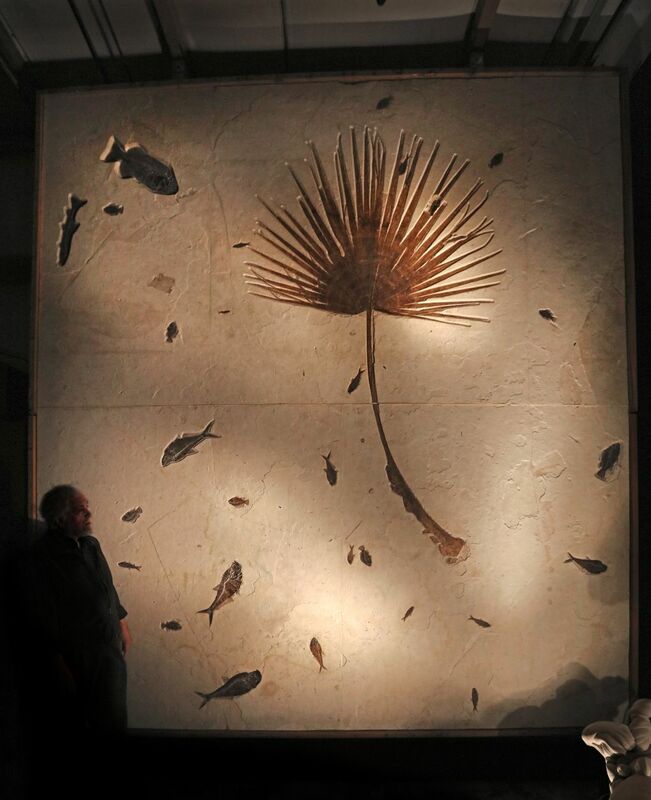 Another major discovery was a wall-sized fossil tableau excavated from a quarry in Wyoming. It’s like a photographic imprint of an ancient lake bottom, with two dozen long-dead fish that appear to swim around a giant palm frond. 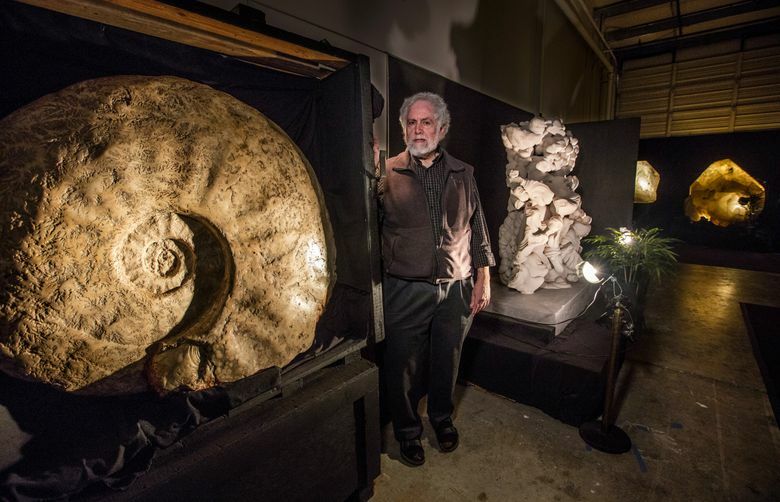 Berger’s monster ammonites were dug up in the Chihuahuan Desert of Mexico. 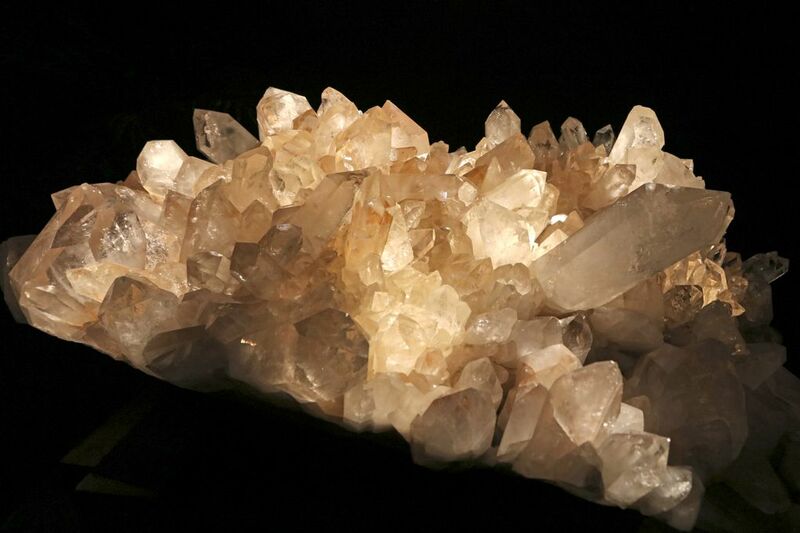 Several of the biggest quartz crystals in the collection were pulled out of the ground in the Southwest African nation of Namibia. 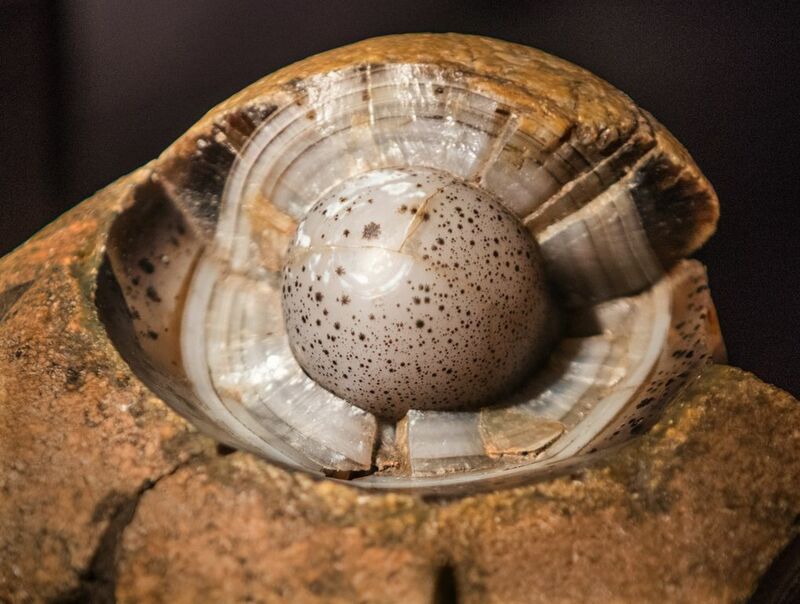 The car-sized geode was unearthed in Brazil. The time period reflected in the collection is also vast. Some of the crystals are more than half a billion years old, while others are younger than the age of the dinosaurs. One slab of sedimentary rock fished from the intertidal zone off an Alaskan island juxtaposes frostlike crystals that date back 200 million years with modern-day barnacles. Berger hopes any new owner will keep the collection intact. 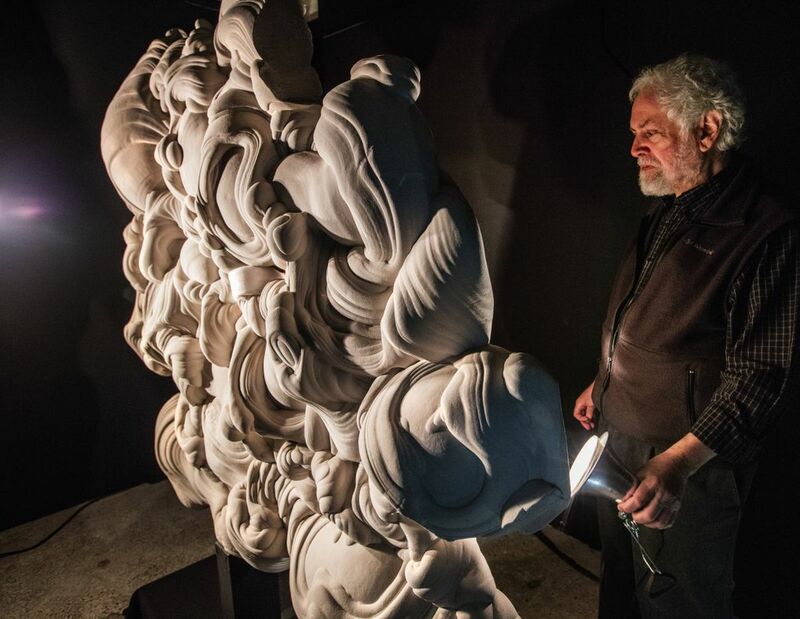 And with his artistic flair, he envisions a tailor-made exhibit space with dramatic lighting, greenery and spots where visitors could sit and contemplate. To contact Richard Berger, visit his website.